Listeners can now play podcasts with voice commands to Alexa for Echo and other devices. What does a podcaster need to do so that listeners can play their podcast with Alexa? 1. Podcasts must be in MP3 format to be played via Alexa. 2. All Podbean business level podcasts can be played by title, as well as any Podbean podcast with an average of 1,000 downloads/episode in the last six months. These can be played with or without a linked Podbean account. Listeners can play these podcasts with a command such as “Alexa, ask Pod Bean to play the podcast Podcasting Smarter”. 3. Any podcast can be played by listeners who follow that podcast with a linked Podbean account. 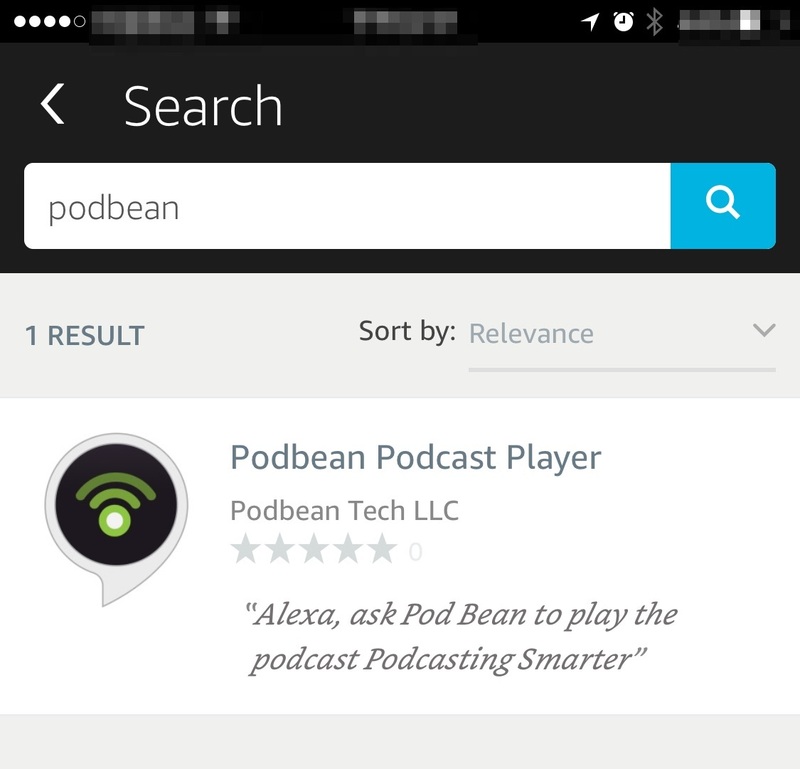 First, they need to enable the “Podbean Podcast Player” in Alexa and link it to their Podbean account. Then, they can play followed podcasts using a shortcut command, such as “Alexa, ask Pod Bean to play followed podcast number one” or “Alexa, ask Pod Bean to play my podcast number one”. You can replace “one” with whichever podcast you want to play from your sequential followed list in Podbean.